Meet our team in Ibiza! For over thirty years, the Ibiza House Renting team has been renting beautiful houses in the most beautiful places on the island. Ibiza House Renting recently joined Villanovo to continue to open the doors to Ibiza's most attractive villas. To meet your every need, our team on a human scale is responsible for selecting villas tailored to your desires and your budget. Our concierge service will then prepare your tailor-made stay to make your trip to Ibiza truly unique. Upon arrival, our local team is here to welcome you and accompany you throughout your stay on this island paradise. Meet our local team in Ibiza and fall for our handpicked villas! If you are planning a holiday in Ibiza, we are here to help you choose the villa that suits you and prepare your stay. Connoisseurs of the island, Emily and Marc take care of selecting houses corresponding to your budget to your criteria. At Villanovo, we are convinced that the experience and intimate knowledge of the houses is an important asset. Present for more than 30 years on Ibiza, we control every aspect of our activity, which allows us to propose extraordinary houses to you. We will answer all of your questions so that you feel guided before and during your stay in Ibiza. Amaya, our concierge in Ibiza, can arrange transfers for you from the airport, a chef, a babysitter if you travel with your children, a car rental and much more! Once your booking is complete, it's time to pack your bags! Upon your arrival on the island, our local team in Ibiza will welcome you warmly. Because we are convinced that humanity does everything, we want to transmit to you our passion for our profession that we have been doing for years now. Experience, welcome and passion: here are our values. Beyond words, these principles govern our daily behaviour with our employees and our customers. They have created the conditions for the development of Ibiza House Renting and Villanovo and every day we ensure that these values continue to be the bedrock of our future growth. Because making your holidays unforgettable is our priority, our values ​​reflect our determination to exceed your expectations to make you live a daydream. For a lot of people, Ibiza comes down to wild parties, beaches lined with bars and discotheques and the electronic music mixed by the biggest DJs around the world. Yet behind the glitter, hides an Ibiza that is more authentic and absolutely charming. Through our collections of villas, we propose a way to discover Ibiza differently. From the Ibizan countryside to low-priced villas, our selection of homes suits all budgets and desires. Because your satisfaction is our priority, we make every effort to meet your expectations and then exceed them. Discover our most beautiful luxury villas in Ibiza. These exclusive villas enjoy a dreamlike, peaceful and tranquil environment, with spectacular views of the Mediterranean Sea and surrounding islets. 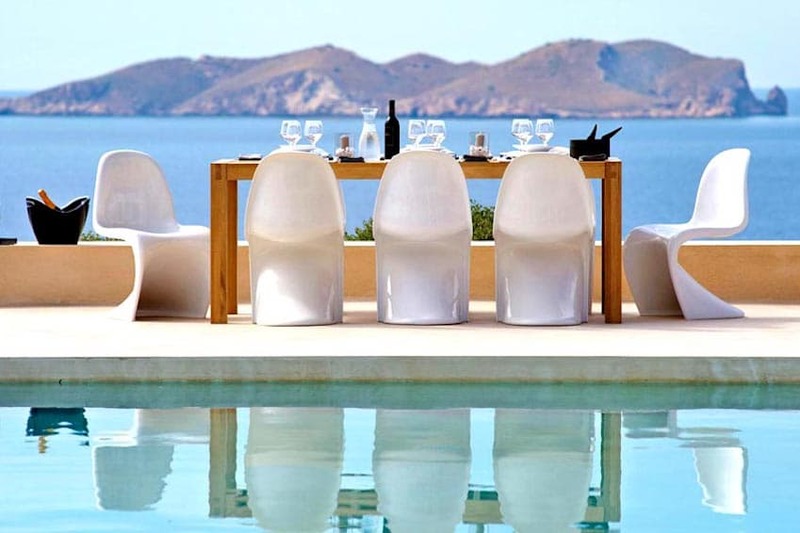 Decorated with high-end furniture, these villas combine sophistication and elegance to make your stay in Ibiza a dream. To let yourself be soothed by the lapping waves and to admire the movements of the sea at any time of the day, choose our collection of villas overlooking the sea. Thus, from the moment you wake up, an incredible spectacle will play before your eyes. You can watch the waves crashing on the rocks, the sand or the dizzying cliffs while enjoying a coffee prepared by our house staff or whilst swimming in your private pool. In the evening, the scene becomes a real fairytale. At dusk, the fiery sky is covered with pinks, oranges and gold and is reflected in the immaculate sea to the delight of your wondering eyes. In front of this palette of colours, each evening will be a new painting to immortalise in your beautiful travel photos. Finally, if you want to indulge yourself at low prices, our collection Pretty villas with low prices is for you! 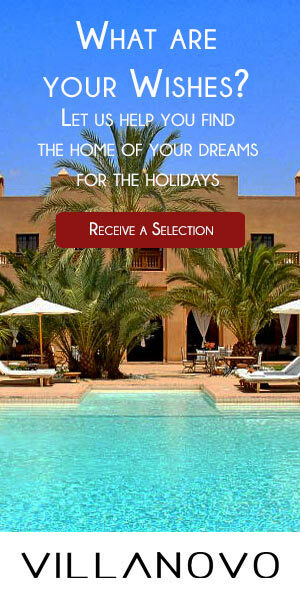 Here, discover elegant villas at reasonable prices to enjoy the White Isle while saving money. Traditional or more modern, these houses will offer you the luxury you have always dreamed of while remaining affordable. Do not wait any longer and trust Villanovo for your next holiday in Ibiza!